BSE 3D have designed and engineered the latest Cabana restaurant at Central St Giles. 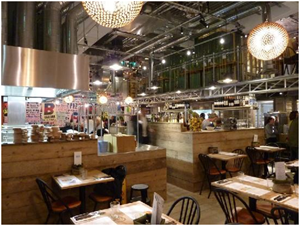 Employed following a recommendation from the kitchen designers for Jamie’s Italian BSE 3D engineered the ventilation systems and supported the design and build contractor to achieve landlord approval for the M&E systems for the restaurant. For more information on our services contact us today by filling in the form below.